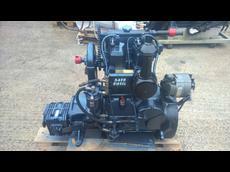 Engines > Inboard > SABB 2JHR 30hp Twin Cylinder Marine Diesel Engine - Very Low Hours!!! Two More New Units Just In! 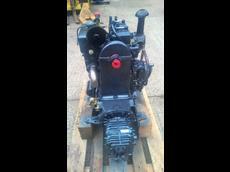 Rare Sabb 2JHR 2 Cylinder 30hp Marine Diesel Engine Complete With Gearbox and a new control panel and wiring loom. 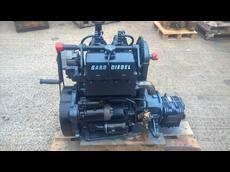 If you want a traditional heavyweight marine engine, they don't come any more serious than a Sabb!! Built in Norway to a traditional design that has served the local fishermen for decades. We have a selection of these rare units available, all ex ship lifeboats so have had an easy life with very little use. Available for either sea water or skin tank / keel cooler installations. 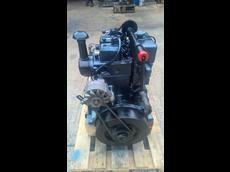 All fitted with electric starting and alternator plus the traditional raised hand starter system as well. Perfect for traditional narrowboats with a heavy flywheel delivering high torque at low RPM but equally suitable for classic yachts and launches too. 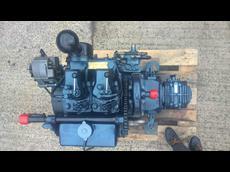 Selection of propellers and shafts also available.